December has been an opportunity to recognize Advent, prepare for Christmas…trying to keep the main things the main things…and try to get everyone well. It was humbling, and a reminder that all of the things I think I need to do aren’t really necessities. It’s New Year’s Eve now, and I’m finally almost 100% and ready to reflect on the year. Business reflection is serving as a foundation for new-year planning and goal setting but personal reflection is the cornerstone for all the facets of life: emotional, mental, physical, relational, and spiritual. Some of it is uncomfortable, but it is always beneficial. When the year began, I hadn’t yet started the practice of picking a word as a theme for the year, but 2018 exposed me to this via multiple people I respect. If I’d heard it before, it hadn’t resonated enough to stick. 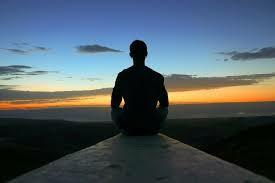 My being was ready to receive it and act, and the main word that emerged was: meditation. I heard it over and over in 2017. The more I thought about it, the more it seemed like a missing link to my personal and spiritual disciplines. Balancing work from home, full-time parenting, nonprofit volunteer work, etc. isn’t easy, and I knew I needed more centering to do it well and make it all sustainable. Despite the calling, I had difficulty getting started that year, but thankfully a parenting course I ventured into in early 2018 included daily meditations (Peaceful Parenting by Laura Markham - I highly recommend it!). It took me awhile to get in the groove, but the act of visualizing how I wanted to be really did help me choose connection over correction more often which then made it more likely to happen again and so on, just like she said it would. While it was a word/theme for 2018, it has changed my life and is now a permanent part of me. I try to start each day with it, and notice when I don’t make the time. The second word of the year emerged as I became an entrepreneur again: sow. This clarity came as we met a long-time goal of creating a garden in order to grow some of our own food. The garden in many ways was a symbol of starting ALTA and learning to meditate and so much of life. Get the soil ready. Sow. Water. Wait. Water. Wait. Learn. Wait. Harvest (a portion of what was planted). Clear. Evaluate. Repeat. The growing cycle amazed me. Some of the garden seemed to sprout overnight while others didn’t for weeks and then only started producing at the end of the season. What a testimony to intentional effort, environmental blessings and patience. Some things needed more sun and space. Other plants needed less of one or both. I’m happy to say we did get to eat some of what we planted and see fruit of coaching, too. What about you? What are some themes that emerged in 2018 for you?